The statistics on migraine headaches are sobering: Around 13% of adults in the United States suffer from migraines. Several factors can lead to the onslaught of migraine pain, but Dr. Debarun Borthakur and Dr. Charles Arndt at Chiropractic Health and Wellness Center in Sterling, Virginia, are standing ready to help you fight the battle against migraines. If you’re suffering from migraines, contact the office for an appointment. Early symptoms of migraines are unique for each patient. In the prodrome phase, you may have cravings for particular foods or feel thirsty. You may also find yourself feeling full of energy and excitable, or depressed and irritable. The aura stage varies between people. You may experience vision changes such as “light shows” with flickering or a zig-zag, a temporary blind spot, or seeing things that aren’t there. Numbness and tingling or “pins and needles” in your body are characteristics of this stage, too. Some people experience language problems such as confusion, trouble understanding words, or challenges expressing your thoughts when you speak or write. The actual migraine attack varies in duration. It usually starts above the eyes, often on one side of the head. The throbbing pain can last anywhere from a few hours to many days. Keeping still is one of the best ways to keep the pain level down since any activity can make it worse. It’s not unusual to feel nausea and have a strong sensitivity to light, sounds, and smells. The aftermath of the attack, the post-drome, can leave you feeling drained. There are methods and medicines to prevent migraines, and the team will work with you to find the best solution. Learning what triggers your headaches, along with care that takes your musculoskeletal system into consideration, can help reduce or limit your migraine headache pain. 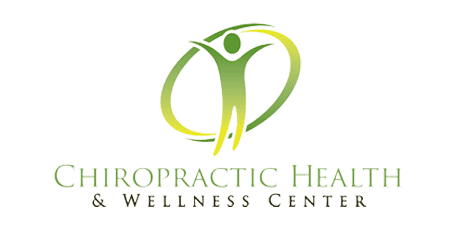 Chiropractic Health and Wellness Center treatments enhance the nervous system so your body can heal itself naturally, as it was created to do. The causes of migraines aren’t well understood and vary from person to person. However, since certain things may act as triggers, the practitioners work with you to discover your triggers. Certain foods and drinks, like aged cheese or wine, may lead to migraines. Or maybe you only get them when you attend loud sporting events or watch exciting movies with tons of action. Stress is a common trigger, as are strong smells, medications, and even something as simple as oversleeping.